Spider-Man swings through the sixties in Life Story #1. With great power, comes great responsibility. We’ve heard the wise words of Ben Parker uttered countless times in Spider-Man stories, to the point that Peter Parker is just as sick of hearing it as some of us are. But Spider-Man’s latest comics tale really wants to ask: Just who or what is that great responsibility actually to? Spider-Man: Life Story—a new Marvel miniseries by former Spectacular Spider-Man scribe (and, among other things, current Daredevil helmer) Chip Zdarsky, Mark Bagley, John Dell, Frank D’Armata, and Travis Lanham—operates on a fascinating premise: In the world of comics, where the lives of our heroes are constantly reset in a bid to provide jumping-on points or to undo dramatic life events, what if we followed a character as they grow and change over a period of decades? 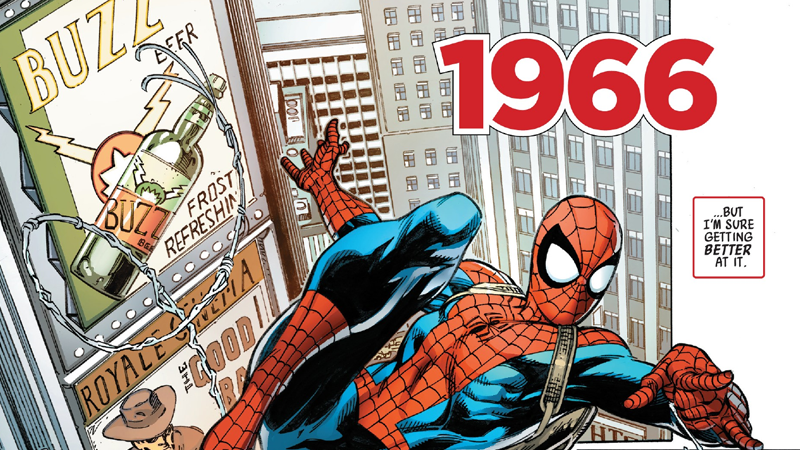 As Life Story doesn’t have nearly 60 years on hand to run as a series, it’s concentrated a little—each issue takes place in a different decade, starting with the ‘60s, where Peter Parker’s journey as the spectacular Spider-Man first began. Which means, of course, that there’s a lot familiar here in this issue—we have a young Peter, struggling to deal with the triple threat of responsibilities that is caring for an ailing Aunt May, college work, and being a superhero. We have the push and pull of Peter’s dual lives creating a constant and ever-present threat as one wrong move could lead to public exposure. And then we have the other Parker classic: His waxing and waning relationships with his friends like Norman Osborn, Flash Thompson, and, of course, Gwen Stacy. Some chemistry, of the educational and of the romantic kinds. While all this is indeed familiar to anyone who’s experienced even a minuscule amount of Spider-Man over the years—hell, it’s probably familiar to the people who’ve simply absorbed the background radiation of Spider-culture through osmosis—the idea of Life Story’s premise already adds a refreshing dimension, one that generates an alien tension to the undercurrent of the narrative. Knowing that, at least within the confines of the series, anything that happens will persist throughout decades of Peter’s life makes every chance scrape inherently alarming, every almost-reveal of his identity heart-racing. A passing mention of Aunt May’s declining health becomes tragic upon the stark realization that this iteration of her will likely not persist as she has in the “main” timeline, outside of any potential deals with the devil. But while those big superhero moments hit hard when they do hit—and some major ones do in this first issue, especially surrounding the inevitable clash between Norman Osborn and Peter—the most interesting facet of Life Story #1, the one that really engages with the idea of just what Ben Parker’s great responsibility is actually in service of, has only a passing relation to the great power of Peter’s superheroic side. Because the primary thrust of this issue takes on Peter’s place in society at the outbreak of the Vietnam war. America’s relationship with the Vietnam War is an ever-present specter in this issue. By 1966, America’s ground war in Vietnam had begun in earnest. The year prior had seen 200,000 U.S. Marines deployed to mount what was planned as an overwhelming offensive against the Viet Cong but ultimately developed into a war of attrition. Back in the U.S., President Johnson’s discretionary media campaign, aiming to divulge as little about the ailing progress of the American offensive, lead to a growing credibility gap and public distrust that sparked mass anti-war protests. 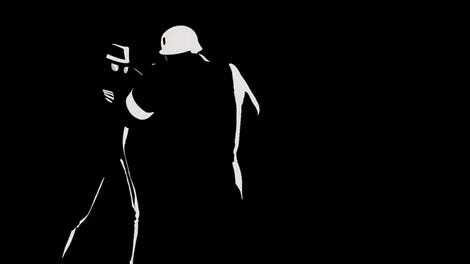 And in Life Story’s version of these events, it is amidst all this that we find Peter having a crisis of conscience. The war is inescapable to him, from protests granting Peter cover to change in and out of his Spider-Suit, to the fear of what could happen to May should college no longer protect him from the draft, to the lingering high school tensions that boil over when Flash signs up for service and prepares to leave for South Vietnam. While it’s clear early on that Peter is against the war from a moral standpoint, he’s still deeply conflicted in his feelings about it. Torn between his disgust at American exceptionalism masquerading as war-monger bullying with his itching sense of heroic duty, Peter wonders if the ethically right thing to do would be to sacrifice his anonymity and use his superhuman ability to save lives as a soldier. Iron Man joins President Johnson’s war machine. Not to be confused with that other War Machine, he’s not around yet. 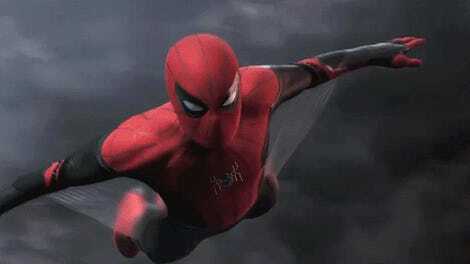 The questions over where Peter thinks his responsibilities lie, as both an American and as Spider-Man, are only complicated when Life Story starts involving other superheroes. Media puff pieces on Iron Man—of course an industrialist like Tony Stark supports the war effort—alongside the troops abroad blare across TV sets. But so does the ever-present question of when (or if) Captain America, the physical embodiment of American national values, will weigh in. Although they play small roles in the periphery of Peter’s story in this issue, they’re vital ones, especially Captain America’s, as he’s equally conflicted in wanting to see what’s being enacted in the name of America’s ideals once again, so soon after leaving behind an altogether different war. So, who is Ben Parker’s “great responsibility” toward? In the end, Peter decides that ultimately it can only be held to his own sense of duty—and that by staying out of the war to continue safeguarding the lives of the public around him and the people he loves, he is fulfilling a debt of duty left behind by heroes like Iron Man and Cap who go off to fight in the war (and, by the issues end, find themselves not necessarily on the same side). As with all good Spider-Man stories, Peter realizes that the greatest risks are personal rather than existential. Being willing to sacrifice his personal identity, if it means protecting people from danger—in this specific case, his identity potentially being exposed by tipping off the police that Norman Osborn is the Green Goblin—carries as much weight as fighting for his country. Captain America sets both himself and Peter Parker on different paths to responsibility. In an era where there are so many different levels of Spider-Man unfolding all the time—whether those adventures are on the big screen, the TV, in video games, or in the comics—Life Story stands out among the Spider-crowds from the get-go. The promise of experiencing the long ramifications of Peter’s double life playing out sans restarts or reboots in such a concentrated manner proves intoxicating as a concept to watch unfold. Seeing Peter grapple with the real world around him as time marches on offers something completely refreshing, but at the same time it serves as a perfect encapsulation of the duality that defines Spider-Man more so than most superheroes: Sometimes the part of the world without costumed villains and incomprehensible superpowers can be just as challenging for our heroes to navigate.